Mike was born and raised as a missionary kid in Bogota, Colombia. After moving to the states, Mike attended Northwestern College, St. Paul, Minn., and graduated with a B.A. in Church Ministry. He then moved to Memphis and earned a Master of Divinity degree from Mid-America Baptist Theological Seminary. 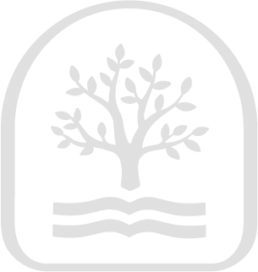 Mike is currently pursuing a PhD in Theology and Preaching at Southeastern Seminary. Mike is married to Tabitha, and they have three daughters, Abigail, Violet and Georgia. He has written two studies for LifeWay: In Transit: What Do You Do with Your Wait? and Jaded. His passions are the gospel, coffee, friendships, and basketball. Lauren was born and raised in Hendersonville, TN – just north of Nashville! She attended Austin Peay State University in Clarksville, TN, where she earned her bachelor’s degree in the Fine Arts. Lauren has traveled all over the world doing mission work and eventually landed in Portland, Maine as a collegiate missionary after college. 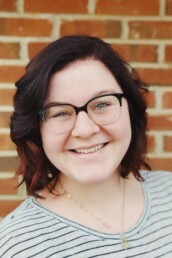 Lauren has been back in Nashville for 3 years, and when not at church, you can find her snuggling her two cats and cross-stitching while sipping some coffee or listening to a good audiobook. Bryant is what they call a “unicorn” — a Nashville native. He has a passion for telling stories, and received his B.A. in Film from Carson-Newman University. Bryant deals with a lot of the day-to-day creative work at The Gospel Church. In addition to his work here, having a passion for music, he also shoots freelance video for musicians throughout Nashville. Josh grew up in Austin, Texas, and studied music and sound engineering at Texas State University in San Marcos. After receiving a B.A. 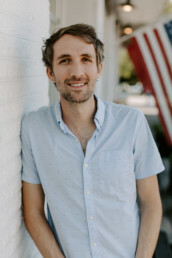 in Music, Josh moved to Nashville to help lead worship and dive into the rich music scene Nashville offers. In addition to his role at TGC, Josh is a staff songwriter for Word Music Publishing. Josh has been married to his beautiful wife, Katie, since April of 2012. They currently reside in west Nashville. In his downtime, Josh likes hiking, traveling and tennis. Josh was born and raised in Fort Worth, Texas and moved to Nashville with his wife Julie 7 years ago. 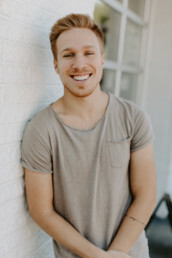 He is a full time songwriter and artist alongside being a worship leader. He has two kiddos Everly and Jones. 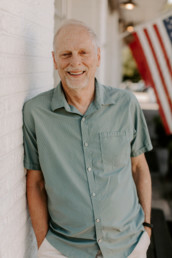 Dan was born in California, grew up in the Midwest and spent most of his adult life as a missionary in Bogotá, Colombia, with his wife, Alice, and their three children, Mike, Alan and Ginny. Dan and Alice recently retired and moved from Chicago to Nashville. In addition to serving as Global Missions Pastor at TGC, Dan serves as president of Light to Israel and Middle East Ministries. Dan is sports enthusiast, enjoying running, biking, tennis and swimming. If you want to meet with Dan, make it early. His favorite foods are anything breakfast! Aaron grew up all over the country but considers Upstate New York his home. He graduated from Syracuse University and went on to pursue a medical degree which has taken him to San Francisco, Chicago, Denver, and finally Nashville. When not in the hospital, you can find him looking for the best eats around town with his wife and 3 daughters and cheering for his beloved Syracuse Orange. 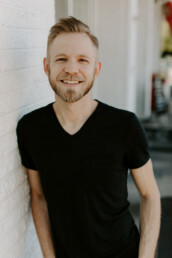 Matt was born and raised in Arkansas where he received a Bachelor of Architecture degree from the University of Arkansas. After college, he moved to Nashville in 2008, is an Architect and works in The Gulch. Matt, his wife Rachel and their son Jasper live on the south side of town near the zoo and love being outdoors. 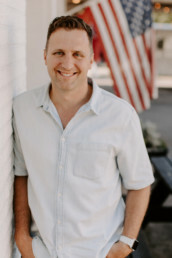 Jeff grew up in Milwaukee, Wisconsin and moved to Nashville to attend Vanderbilt University where he majored in Human Organizational Development and Philosophy. Although he intended to use his degree in full-time ministry, God called him to live out his faith in the workplace, and now works as a business analyst for an IT consulting firm. After a long friendship that started at Vanderbilt, Jeff married his best friend Emily in 2017, and they now live with their dog Oliver in Charlotte Park. In his free time, Jeff loves running, reading, puns, cheering for the Nashville Soccer Club and the Green Bay Packers, and exploring new places with Emily.